This year’s World Aids Day theme was ‘Know Your Status’ and it was aptly chosen given that UNAIDS estimates that more than 9.4 million people living with HIV do not know their status. This message – know your HIV status – applies to everyone including healthcare workers. By seeking HIV testing, I believe that we contribute to raising the profile of HIV testing services and also to securing public confidence in the healthcare system. Modelling this behaviour could, as I see it, help increase demand for HIV testing. This conviction prompted me to commemorate World AIDS Day 2018 by getting tested for HIV. Guess where I sought the test? From our TB HIV Care mobile wellness clinic in Dunoon. 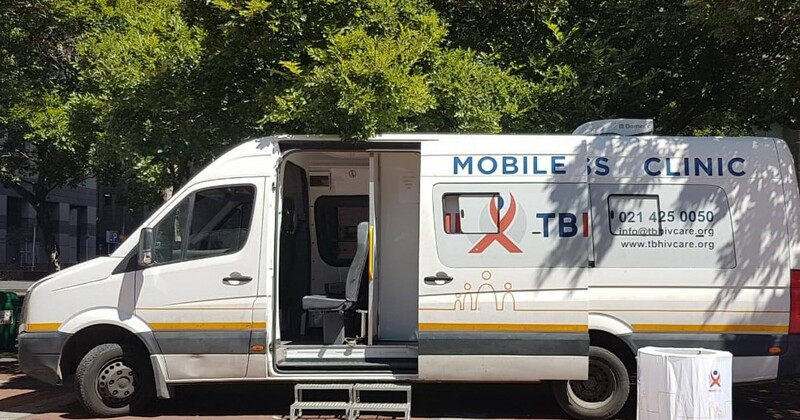 Wearing my blue TB HIV Care T-Shirt, I approached the mobile van where, Fezeka Mfengu (HAST Counsellor), a young, energetic and rather shy counsellor, welcomed and invited me into the mobile clinic with a broad smile. After the greeting etiquette, she got down to business which started with pre-test counselling, seeking my consent for the test, then screening for tuberculosis, sexually transmitted infections and other non-communicable diseases. All this was followed by the HIV test which gave results in 15 minutes. I could feel my heart pounding as each minute passed by, but the feeling that I was doing the right thing comforted me. This short waiting period put me in the shoes of those who seek our services. On receiving my HIV test result, post-test counselling, which included information on HIV prevention, was conducted. The counsellor followed the national testing algorithm to the letter. Her caring attitude and the service I received showed me that Fezeka is walking in the shoes of our service users. These are our counsellors!!! Thank you for contributing to taking our organisation to great heights of success. The third SA Drug Policy Week was held from 8 – 12 October 2018, but it is not over. Once again, we brought many of the most important drug policy stakeholders, influencers and makers into the same room to hear from, and exchange ideas with, international and local experts, civil society, the health sector, criminal justice sector – and those who stand to lose or gain the most: people who use drugs. Based on the success of previous events, we had requests from policymakers in Nepal, Kyrgyzstan, Mexico, Ivory Coast and many other places ask to join the debate. We even had an Australian member of parliament attend the event. The first SA Drug Policy Week, called RUN2016, took place ahead of the 2016 UNGASS on drugs, and there was an air of anticipation. This was the first time that it seemed reasonable to expect significant changes to the international policy. With perfect hindsight, we can confirm that keynote speaker, Julian Buchanan, was correct when he called these expectations naively optimistic. During RUN16, a small group of us started to discuss the possibility of starting a low-threshold methadone programme. Needle and syringe programmes were just starting, and for the first time South Africa, in the form of the CDC-funded Step Up Project, saw the words “harm reduction” being put into action. A series of fortuitous events meant that SA Drug Policy Week 2017 had one of the finest groups of international keynote speakers one could hope for – Ethan Nadelmann, David Nutt, Neil Woods and Anand Grover. All four made a huge contribution to the status of the event, and the media coverage was extensive. We lived up to our slogan, We need to talk about drugs, and SA Drug Policy Week 2017 sparked a lively debate, not only in South Africa but regionally and globally. We arrived at the SA Drug Policy Week 2018 to find a very different South Africa when it comes to drugs and the way in which we respond to drugs. In 2017, TB HIV Care and the Urban Futures Centre implemented the first low threshold opioid maintenance programme that we first spoke about at RUN 2016. With the entry of the Global Fund, we saw TB HIV Care expand services and awareness. The City of Tshwane became the first city in South Africa to fund opioid substitution maintenance programmes and the supply of sterile injecting equipment. The Community Oriented Substance Use Programme (COSUP) funded by the City and implemented by The University of Pretoria Department of Family Medicine is an emerging model of how cities can introduce sustainable and integrated services in response to people who use drugs. Recently the Constitutional Court passed a judgement that effectively decriminalised the possession, growing and use of cannabis in small quantities in private space. Whether or not one supports this decision, it will create momentum for the much-needed policy debate. The Drug Policy landscape, locally and internationally, is changing rapidly. However, not all is progressive and evidence-based in South Africa. While the City of Tshwane was looking towards science and compassion for new ways to reduce the impact of drug use, the City of eThekwini moved backwards. Despite engagements over a period of 36 months, and assurances that the provision of sterile injecting equipment by the Step Up Project was compliant with regulations, the Deputy Mayor closed down the programme, leaving people who inject drugs increasingly vulnerable to HIV, hepatitis, sepsis, endocarditis and, ultimately, early death. There is still a reluctance to accept harm reduction services, not only among the general population but also among some medical practitioners. We are still awaiting South Africa’s new Drug Master Plan. Early draft versions of this document showed a lot of promise and it could provide the clear, integrated policy framework and motivation needed to implement effective responses to drug use. Yet it remains caught within the bureaucracy of the National Department of Social Development. There are further challenges. South Africa still pays up to thirty times more for methadone than Ukraine. Methadone is still not on the essential drug list for long-term opioid substitution therapy. The latest cures for hepatitis C are not available in South Africa because to register any new medication takes more than thirty-six months. There are continued assaults on people who use drugs for no other reason than that they use a drug. In the Constitutional Court Judgement, Judge Zondo framed the use of cannabis a ‘great social evil’, yet did not once refer to the ‘evil’ of the racist origins of prohibition, or the ‘evil’ of the disproportionate punishment those caught using cannabis, particularly those from marginalised communities, have experienced. We also need to consider the many people who have no ‘private space’ to live their lives. At the SA Drug Policy Week 2018, we examined many of these issues through a critical lens, keeping in mind the international, regional and local data, the emerging evidence from innovative programmes, and the local context. We were able to focus this year on African and South African initiatives because we have new and innovative programmes operating, and new solutions emerging. We are no longer being passive, we are doing, and we are finding new and appropriate paths towards effective drug policy and interventions that focus on, not only the individual, but also the context and systemic drivers that make the use of drugs more harmful than need be, yet still so meaningful that for many the risks are worth facing. Many of the presentations this year focused on the legal regulation of drugs – something I would not have considered including a few years ago. We had traditional growers of cannabis from rural South Africa and Morocco. 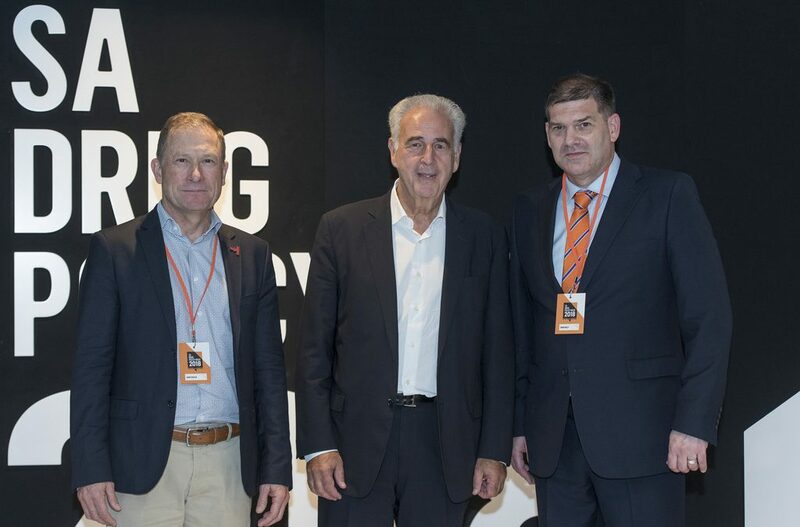 The keynote speakers were the former Executive Director of the Global Fund and Commissioner of the Global Commission on Drugs, Michel Kazatchkine, and the head of the Global Drug Policy Programme at Open Society Foundations, Kasia Malinowska. For the full range of speakers, you can visit www.sadrugpolicyweek.com, and all the presentations will be available over the next two weeks. The 12th of October has been and gone; however, SA Drug Policy Week is far from over. The debate it has generated and continues to generate is already influencing future policy decisions in South Africa. Planning for a 2021 African Franchise event is already in the discussion phase. We are being invited to participate in high-level meetings and discussions around drug policy. Over the last two weeks, we have also seen a surge in public violence against people who use drugs and while politicians in eThekwini debate the value of supplying sterile injecting equipment to people who inject drugs, people are contracting diseases and suffering and dying unnecessarily. We still have no funding from the national government and the SA National Drug Master Plan is nowhere to be seen. We also have a list of recommendations that have to be implemented for South Africa to begin to resolve the issues around drugs and the unnecessary harms people are suffering. So SA Drug Policy Week 2018 continues, and I know that in reality, this is South African Drug Policy Decade. Just that thought is making me feel exhausted, so it is time to stop writing this and get on with the work that everyone at TB HIV Care contributes to – the work of improving the lives of all South Africans. TB HIV Care staff from head office and Khayelitsha spent Mandela Day in Khayelitsha. Some teams spent 67 minutes (and more!) painting house numbers in Harare. A lack of visible street numbers is a huge problem in Khayelitsha, as emergency services (paramedics, ambulances, police etc.) struggle to find addresses in emergency situations. TB HIV Care identified certain areas in and around Harare and spent time with residents painting much-needed house numbers. This will also help community health workers (CHWs) and social workers who need to trace, and visit, clients at home. 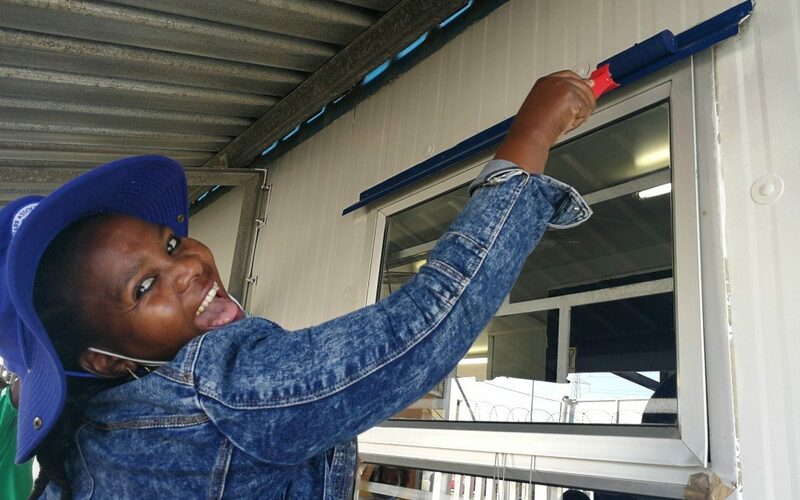 In addition to ‘painting numbers’, a team from TB HIV Care assisted in a mini re-furb of the Khayelitsha Youth Hub (a youth-friendly clinic) in Site B. This included painting the exterior and interiors walls of the clinic (and a fabulous mural). TB HIV Care’s social work team worked hard to mark Mandela Day. They hosted a health and wellness day (which focused on HIV and TB education) at our Khayelitsha office in Harare, and collaborated with Old Mutual to distribute food parcels to clients in need. Many thanks to Old Mutual, Mavis Nonkunzi and our Khayelitsha social work team! TB HIV Care teams around the country also got in on the action. Nelson Mandela Centenary Celebrations were held at Umvezo in the KSD Municipality. Distinguished guests were present, including President Cyril Ramaphosa, the Eastern Cape Premier and former presidents of South Africa. TB HIV Care was represented by three KSD teams, who provided HTS and health education on the day. In Cape Town, Hlengiwe Khoza (Quality Assurance Coordinator), Kaylin Scheepers (Compliance Officer) and Chenghuan Deng (Management Accountant) volunteered at Yumcious in the Cape Quarter for their 67 minutes – making bread for the homeless. Thanks so much to all involved. It was a fantastic day.